Developers from around the world use SocketTools to help them create innovative products and services. From critical line-of-business applications, to healthcare services and e-commerce, SocketTools allows them to quickly add secure, reliable Internet functionality to their software. 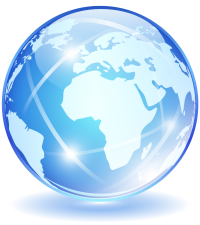 Our customers range from large multi-national corporations to individual consultants. A few of the governmental organizations and companies that use SocketTools are listed below. To learn more about what our customers think of SocketTools, check out the Customer Reviews.